On 1 September the Central Elections Committee of Belarus announced that four presidential candidates had submitted enough signatures to run in elections scheduled for 11 October this year. Although few question the outcome of this elections and the official victory of the incumbent President Alexander Lukashenka, the elections take place in a very different geopolitical context. In the 2010 presidential elections, the authorities saw the Belarusian opposition as the main threat and crushed protests, putting several presidential candidates in jail. After the recent events in Ukraine the authorities seem to view Russia as a more serious threat although they would not publicly admit it. 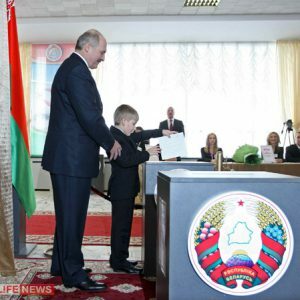 Belarus only had real elections during a brief period of competitive politics in the early 1990s, prior to the election of current President Alexander Lukashenka in 1994. This is why for many Belarusians, particularly older generations, elections are not an opportunity to change their leadership but something of an old ritual. As in the Soviet times, on election day they would go to a local election polling station – usually located in a secondary school – to vote and enjoy heavily subsidised food, beer and vodka. In the 2014 local elections, one US dollar was enough to buy a shot of vodka and a sandwich with ham. Another element of the tradition is that in Soviet times it did not matter how people voted because the authorities knew the result in advance. Although plenty of billboards remind citizens of the election date, beyond this it is hard to detect signs of an election campaign taking place in Belarus. State-owned media dominates the media landscape with the opposition almost unseen on TV. Independent information is available on the Internet, but the vast majority of people receive their news on television where the opposition is not welcome. This year the authorities seem to be willing to register only one opposition candidate Tatsiana Karatkevich and the interest in elections will be lower than in 2010, when there were eight. However, the majority of Belarusians still seem willing to vote. According to a poll conducted in June 2015 by the Independent Institute of Socio-Economic and Political Studies, nearly 35 per cent of respondents said they would definitely participate in the elections and around 37 per cent said they would likely participate. In the 2010 presidential elections, Lukashenka’s main concern was the opposition. Then the authorities highlighted the economic success of Belarus, explained largely by Russian subsidies. Billboards with the motto “For a prosperous and strong Belarus” were all over the country. This time, however, the authorities have focused on the independence of Belarus with the billboards changed to “For the Future of Independent Belarus”. Indeed, with the sharp decline in value of the Belarusian rouble and falling exports to Russia, independence despite economic hardship seems like a more attractive platform. To show they are in control, the authorities have mobilised their resources from the early stages of the campaign. According to the Central Elections Committee, the incumbent President collected 1.7 million signatures over a one month period. Belarus has around 7.4 million eligible voters, which officially means that nearly one quarter of voters supported Lukashenka even before the elections had started. Local authorities, managers of state enterprises, and directors of schools were obliged to collect signatures for Lukashenka to demonstrate their loyalty. This year the number of collected signatures exceeds the tally collected in 2010 by a third. The authorities also decided to add more than one pro-government candidates, beyond Lukashenka himself. They include a Cossack general, who is also a minor government official. Although none of the pro-government candidates even bothered to create a campaign website they curiously still managed to collect more than the 100 thousand signatures necessary for their registration. These candidates will use most of their airtime on Belarusian television to criticise the opposition rather than Lukashenka. The election result will not bring any surprises because the authorities are firmly in control of the vote count. In 2010, Lukashenka got nearly 80% percent according to official figures. Giving a real number now may appear as a sign of weakness which the authorities cannot afford. In 2010, the share of representatives of the opposition parties constituted only 0.25 per cent of the total number of election committees. Not surprisingly, this year the vast majority of the opposition’s nominees to election committees were rejected on technicalities. None of the opposition parties are represented in the Central Elections Committee. This year the main preoccupation for the authorities is not the opposition. Although Lukashenka often brags about swift punishment to hypothetical forces threatening Belarusian sovereignty and territorial integrity, in reality Belarus remains highly vulnerable to the repeat of the Crimea scenario. The economy is tightly linked to Russian markets, where Belarusian goods can compete, often with the help of subsidies via Russia energy resources. More worrisome for the authorities is that to get information about politics most Belarusians watch better funded and more professional Russian TV channels. Given the aggressive propaganda on Russian television, it is unsurprising that the majority think the Crimean annexation was justified and that many view the events in Ukraine as an American conspiracy. Belarusians know much more about Russian history and Putin’s officials than about their own. Ironically, Lukashenka supplying military equipment to Ukraine, speaking in favour of its territorial integrity and sending his foreign minister to meetings with Petro Poroshenko and Mikheil Saakashvili in Ukraine looks more pro-Western than the majority of his electorate. The Belarusian army has been chronically underfunded, with Russia refusing to supply modern military equipment for Belarus, desiring instead its own bases in the country. The security services have excelled in monitoring the opposition and business people, but may prove completely ineffective against less soft targets. More importantly, it is unclear with whom the loyalty of generals of the Belarusian army and security services lie. Many in the leadership were born and educated in Russia and since Soviet times have been used to taking orders from Moscow. Falling energy prices and Russia’s economic downturn will inevitably result in less subsidies for the Belarusian authorities, who will be increasingly looking to the West for money and support. The release of political prisoners on 22 August is clearly a step in this direction. However, western politicians should not hold their breath in hoping for a quick leadership change. Instead of just reacting to the actions of the country’s authorities, the West needs a pro-active long-term strategy focused on building links between the European Union and Belarus at all levels, while strengthening Belarusian statehood and civic identity. It is important to engage not only the country’s civil society, but also the Belarusian bureaucracy, which in the absence of real elections remains the most powerful force in the country. A version of this article appeared on EUROPP – European Politics and Policy is a multidisciplinary academic blog run by the London School of Economics and Political Science. On 29 August, Ales Charkashyn, a member of tactical volunteer group Belarus Fighting in Donbas, died from combat wounds. This is the first known death of a Belarusian citizen fighting on the Ukrainian side. No Ukrainian diplomats attended Charkashyn’s funeral in Brest yesterday. Kyiv has been reluctant to acknowledge the devotion of Belarusian volunteers fighting for Ukraine by awarding them Ukrainian citizenship and see them as an obstacle in relations with Minsk. The Belarusian side, on the other hand, continues to say that it will persecute Belarusians who join the fight in Ukraine, on either the Ukrainian or the Russian side. The true scale of Belarusian involvement in the Ukrainian conflict remains unknown. Most Belarusians conceal their participation in order to avoid persecution at home. Estimates in the media, such as those given by Belsat TV, range from a few dozen to several hundred volunteers. Several political activists and individuals formerly recognised as prisoners of conscience by Amnesty International have joined the fight in Ukraine. Vasily Parfiankou, who served a prison sentence for participating in protests after the rigged 2010 presidential election, has been serving in Ukraine since last winter. On 25 July, co-chair of the Young Front Eduard Lobau published a video announcement stating that he had arrived in Ukraine "to fight the common enemy”. Arrested for organising protests following the 2010 election, Lobau left Belarusian prison just six months prior to the announcement. The involvement of well-known Belarusian political activists in the Ukrainian conflict who do not conceal their identities draws media attention. Yet according to an anonymous volunteer interviewed by the European Radio for Belarus, the majority of Belarusians fighting for Ukraine have no political background and speak Russian. Many of them have joined the tactical Belarus group, which belongs to Ukrainian militant group Right Sector (Pravy Sektor). On the night of 10 August, the Belarus group came under fire. The Ukrainian coordinator of Belarusian volunteers, Vitaly Tsilizhenko, died right away. 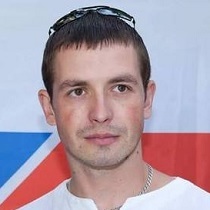 Charkashyn, 33, was sent to intensive care with shards in his head, chest and kidney. Ukrainian doctors fought to save his life for two weeks, but he died on 29 August. Since the early 1990s Charkashyn has belonged to the democratic movement in Belarus. He studied at the Tavriyskiy Christian Institute in Ukraine and previously served as the leader of the Belarusian Christian Democracy party in Brest, a city of 310,000. At the beginning of the Ukrainian conflict, Charkashyn assisted with humanitarian aid delivery. Eventually he became a soldier. Charkashyn seemed like a quiet and religious man when the author met him several years ago. Charkashyn is the first Belarusian known to have died fighting on the Ukrainian side; several other Belarusian volunteers died fighting for the separatist cause. Some 150 people attended Charkashyn's funeral on 3 September. The crowd chanted “Heroes don’t die” as his coffin was carried through the streets of Brest. Several leaders of the Belarusian opposition attended, including Paval Seviarynets of the Belarusian Christian Democratic party and former political prisoners Zmicier and Nasta Dashkevich of the officially banned Young Front. No Ukrainian diplomats appeared. Are Belarusian Fighters for Ukraine Criminals? The majority of Belarusian volunteers fight in combat groups such as the Right Sector, a Ukrainian far-right organisation frowned upon by the Ukrainian authorities and the international community. A possible reason for this is that only Ukrainian citizens can join the official Ukrainian army. Right Sector, the only pro-Ukraine combat group unaffiliated with the Ukrainian government, may be the only choice for foreigners seeking to support the Ukrainian cause. According to one volunteer, even though all Belarusians who return home from the Ukrainian front are convicted as mercenaries, they do not qualify for refugee status in Ukraine. Were the Ukrainian government to enforce its laws, it could start deporting the volunteers, most of whom stay in Ukraine longer than the laws allow. Even though Ukrainian president Petro Poroshenko and Minister of the Interior Arsen Avakov once promised to award citizenship to Belarusian fighters, most volunteers still have no Ukrainian citizenship. Two Ukrainian parliamentary deputies close to the volunteer corps, Igor Guz and Dmitry Timchuk, proposed a law that would permit granting Ukrainian citizenship to foreign volunteers fighting on the Ukrainian side. The only Belarusian fighter ​who has received citizenship to date, Sergei Korotkich, has a dubious past. Korotkich had lead a neo-fascist organisation in Russia and participated in a crackdown on Belarusian pro-democracy activists in the 1990s. Belarusian volunteers who spoke with Belarus Digest named two reasons for the reluctance of the Ukrainian authorities to grant citizenship to Belarusian volunteers. One reason is the current dysfunctionality of the Ukrainian state. A no less important reason is Ukrainian concern about the ongoing negotiations between Minsk and Kyiv. According to volunteer Andrej Strizhak who spoke to Belarus Digest, Ukrainian MPs drafted a law awarding a Hero’s Medal to Belarusian Mikhail Zhiznieuski, shot dead at the Euromaidan protests, but the draft was never voted on in parliament, “perhaps due to a political agreement between Belarus and Ukraine”. Instead of the Hero’s Medal, Poroshenko presented the Order of the Heavenly Hundred Heroes, a lesser award, to Zhiznieuski's parents. The Belarusian government threatens to criminally prosecute Belarusian volunteers as mercenaries. The KGB reportedly summons relatives of volunteers fighting for Ukraine for questioning. “Do you understand that people go there to kill and then return and live among us?”, Chairman of the Belarusian KGB Valiery Vakulchyk told the media in June 2015. He said that these people should face the consequences of their actions, sooner or later. At the same time, no criminal cases have been initiated to date, possibly because all the volunteers have remained in Ukraine. Just a year ago, the Ukrainian authorities welcomed foreigners willing to fight for Ukraine. Today, they view Belarusian volunteers as a liability rather than an asset. The volunteers deserve more respect than the Ukrainian authorities give them.